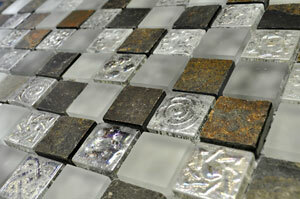 Stone and inox mosaic in white and silver. Update the look of your home with the modern Casablanca mosaic tile. This stunning mosaic tile is made from natural inox and stone in different shades of silver and white and comes in a textured finish. 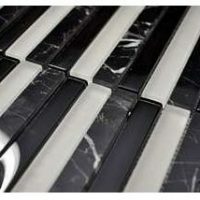 It is ideal for use as a wall tile in bathrooms, wet rooms and in kitchen splashbacks. The Casablanca mosaic tile is available in a standard size of 30x30cm and is sold per piece. It offers an excellent blend of style and practicality, and it is manufactured to the highest standards of quality. So, not only is it attractive, but it will also keep its good looks for many years to come. 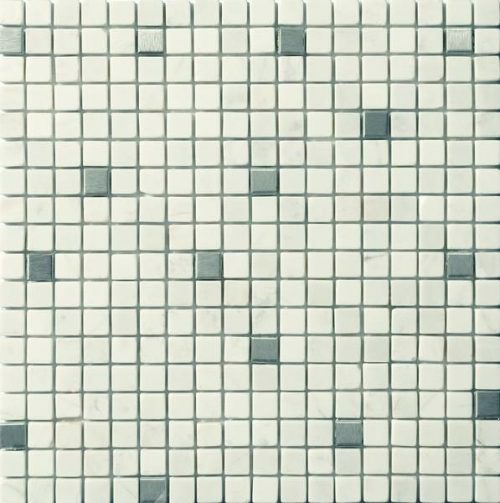 The Casablanca mosaic tile exhibits all the qualities of a superior grade product but it is surprisingly affordable. It offers exceptional value for money and requires little to no maintenance. If you’re looking for stunning yet affordable mosaic tiles in Perth, you’ll find nothing better than the Casablanca mosaic tile. 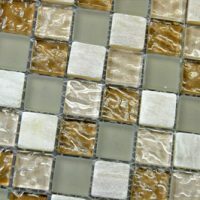 Buy this exception stone mosaic tile at a throwaway price from our online store today!